Dirt! 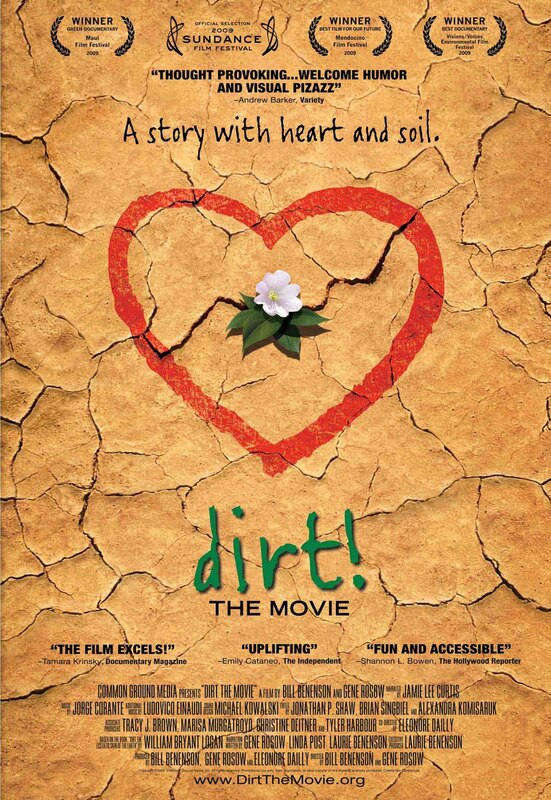 The Movie, the award-winning documentary that tells the story of the life-giving, yet under-appreciated soil beneath our feet, will be shown at a special screening, Saturday, June 26 from 4:30 p.m. to 6:30 p.m. at the Ojai Theatre ( 145 E. Ojai Ave.) in Ojai. Hosting the event is the Ojai Valley Green Coalition. Agromin is the sponsor for the evening. The documentary was inspired by William Bryant Logan's book, Dirt: The Ecstatic Skin of the Earth. It takes a look into dirt's history and current state, mankind's destructive mark on this essential element of life as well as steps we can all take to nurture and enhance soil for generations to come. Guest speaker will be Andy Lipkis, founder of TreePeople. A $10 suggested donation includes entry into a drawing to win 8, 25 pound bags of Agromin vegetable/garden soil amendment mix.